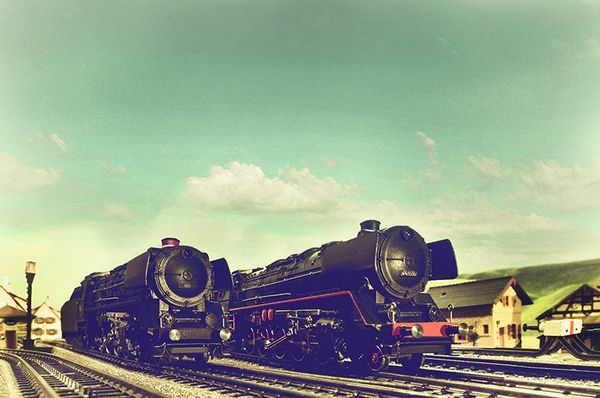 Prototype: Two different class 44 steam locomotives. One version as a German Federal Railroad (DB) class 44, locomotive road number 44 670, as the locomotive looked at the end of the Fifties. One version as a Danish State Railways (DSB) class Litra N, locomotive road number 204, as the locomotive looked at the end of the Fifties. 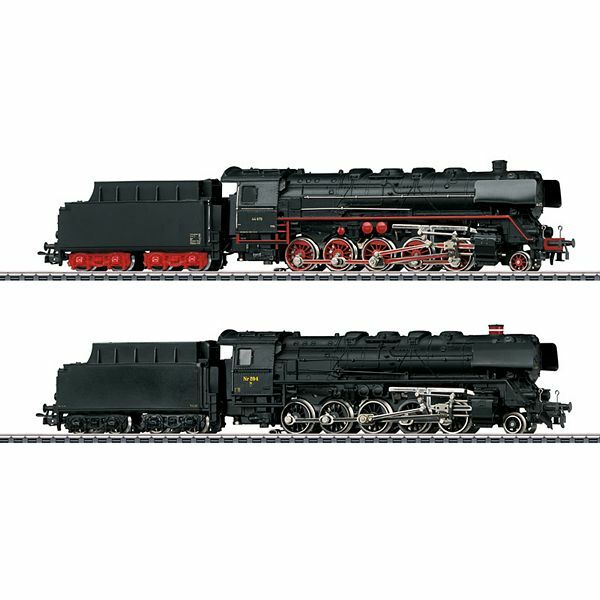 Model: Reissue of a Märklin classic based on item numbers 3047 and 3045. Both locomotives have mfx digital decoders. Each locomotive has controlled high-efficiency propulsion. 5 axles powered on each locomotive. Traction tires. The headlights will work in conventional operation and can be controlled digitally. The locomotive bodies and frames are constructed of metal. Based on the old prototypes, the wheels and valve gear are bright nickel-plated. Both locomotives have a coupler hook on the front and a Relex coupler on the tender. 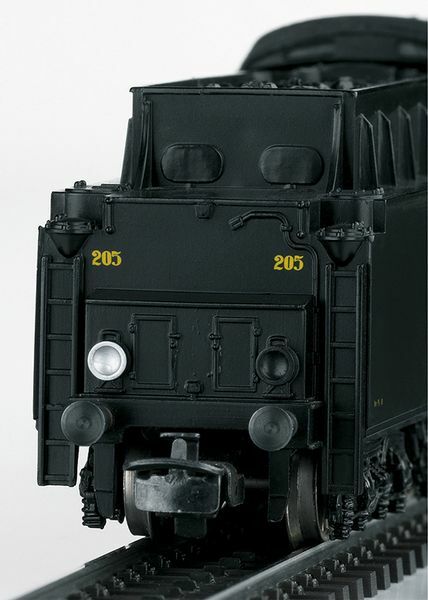 Both locomotives are individually packaged and marked with an additional master package. The packaging has a colored representation of the locomotive based on historic packaging for the class 44. 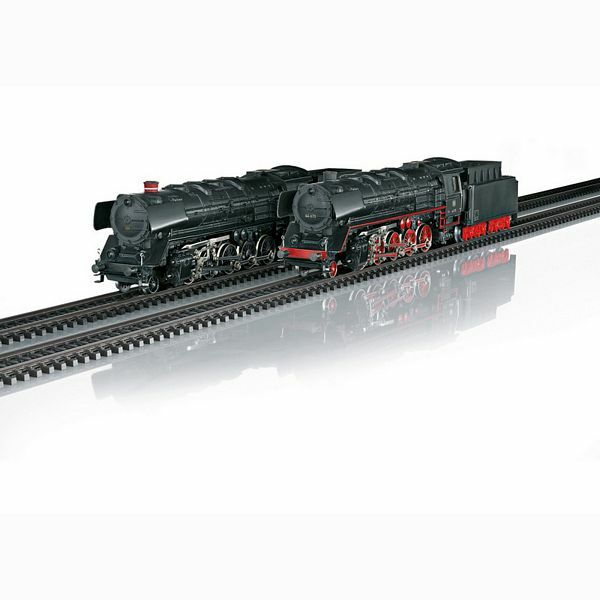 Length over the buffers for each locomotive 28.0 cm / 11". Each locomotive is individually packaged with a colored representation of the locomotive based on historic packaging. This item is being produced as a one-time FINAL series.